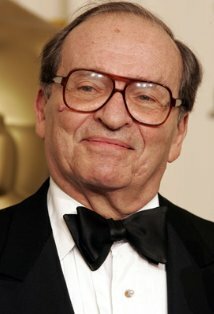 Prolific director Sidney Lumet is dead, may he rest in peace. His actors, with whom he always rehearsed for at least two weeks before starting production, were nominated for 17 Oscars for their performances in his films; several, including Faye Dunaway and Ingrid Bergman, won. The director was, in four nominations, always shut out until he was given a lifetime achievement award in 2005. “I guess I’d like to thank the movies,” the director said in accepting the award. According to IMDB, Lumet directed 72 films and television shows. Among my favorites were Network and Dog Day Afternoon. A true pioneer of film, who will be missed big time. Just watched Dog Day Afternoon again. It’s amazing how deceptively simple Lumet seems to render his execution. The audience is drawn into the proceedings and Lumet effortlessly rolls out the bank-heist-gone-wrong, as if we are witness to a gritty street documentary – of course, every image and edit is part of the master filmmaker’s plan! Lumet’s filmography speaks for itself, but NIGHT FALLS ON MANHATTAN is a film best forgotten. Either that, or it should be renamed either to “Night Falls on Sidney Lumet’s Career” or “Night Falls on Andy Garcia’s Career”.